Meet Cedar Lake Doodles ” Ambrosia ” Little Abby. 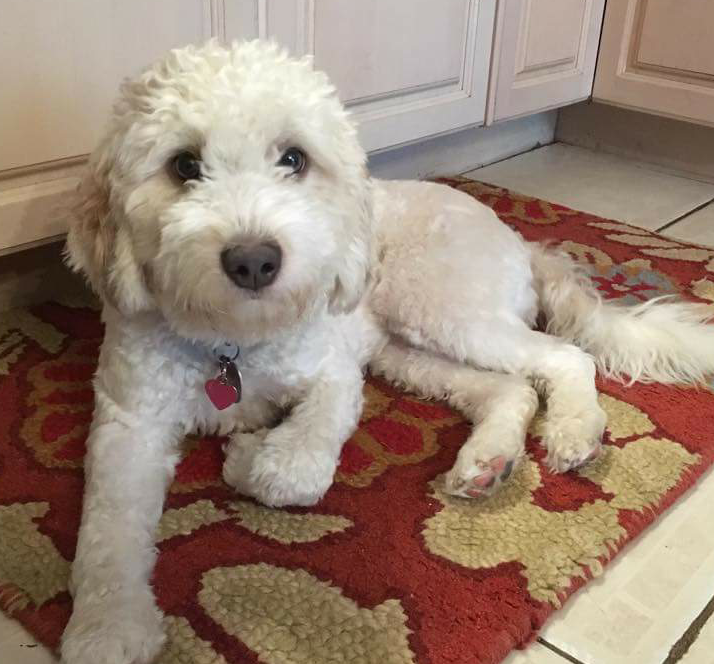 She is an F3 English Petite Goldendoodle. She is a red and white sable colored parti, is 15 inches high, and weighs 20lbs. She brings us a rainbow of colors in her puppies, in a small little package. She is health tested for hips, elbows, heart, eyes, patellas, MD, DM, Ich, GRPRA1, GRPRA2, PRCD, vWD1, and NEwS.